Apparently one in ten of the population suffer with aero-phobia, also known as fear of flying. 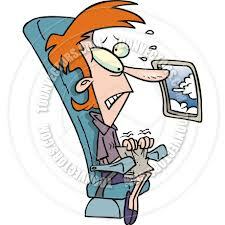 Fear of flying is mainly linked to the fear of aeroplanes or other problems such as panic attacks and claustrophobia. 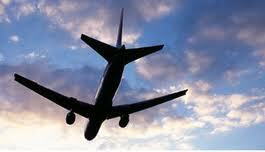 Sufferers have in increase to anxiety and panic attacks at the thought of flying. I am one of these people and I want to share my experiences with whoever is reading this post. People suffering with fear of flying commonly fall into one of two groups. The first group are people who fear an “internal loss of control”. For such individuals, their fear of flying stems from a fear that they will lose control of their emotions during flight and therefore embarrass themselves in front of fellow passengers. These people may express concern about suffering a panic attack, loss of control of bodily functions or become hysterical. For others, the fear is associated with external factors such as turbulence, bad weather or a fault with the aeroplane. I suffered with both of those factors. Like many people my childhood didn’t involve any air travel. I vaguely remember a family holiday to Spain when I was five, but since then nothing. At the age of twenty I began suffering with panic attacks which at one point were so crippling that I wouldn’t leave the flat that I lived in, and if I did I had to be accompanied by my boyfriend. Flying was something we had discussed when talking about holidays, but I knew how terrified I was when a panic attack happened at home, let alone at 36,000 feet with hundreds of other people. So, then came the holidays to Devon, Cornwall and Wales because I couldn’t even begin to imagine that I would ever be brave enough to fly anywhere in the world. Maybe one day I would wake up and be brave enough to see Paris and New York (the two places on my list of places to visit before I die). With parents who are very nervous travellers, perhaps this was a lot to do with my psychological barrier into the whole flying thing. If my parents were scared then there must be something to really be fearful of? In a space of three years, I did try to be brave and booked two holidays but ended up for the first holiday having a panic attack at boarding and not being able to proceed onto the aircraft. The second time I didn’t even get to the airport. The latter was in 2003. That was my last attempt (in my mind). I would forever be a regular at Haven, St Ives and Ilfracombe. That was until August 2006 when my eldest son who was ten at the time went to the USA with his granddad. I recall standing on the aviation viewing car park at Manchester Airport crying as I was worried that if anything happened overseas I couldn’t get to him. And you know those moments in your life when you will meet someone, or have a conversation with another person that will change your life forever? Well I’ve had a couple in my life and this was one of them. I was sitting in a board meeting at work when for some reason myself and a senior colleague were talking and I told him about my son being in America, my fear of flying etc. His wife had the same fear and he recommended to try the hypnotherapist that helped his wife. At that moment I decided that not only would I try a hypnotherapist to help with the fear of panic/flying but I would also book onto a Fear of Flying course. The only person I told about this was my best friend at the time, because if I didn’t go through with the flight that was part of the course then nobody would know any better. Let me tell you that flying was the biggest worry in my life. It took so much courage and guts to get on that plane for that course. Right up until the moment I boarded I didn’t think I would go through with it. Firstly, because I didn’t think I was that brave a person and secondly because I couldn’t ever visualise myself looking out of a window at 36,000 feet and seeing the world below. In the end it was only 19,000 feet as we flew to the Isle of Man. That moment, right there when I sat on the runway shaking and just wanting it all to be over was the moment that my life changed forever. This entry was posted in Travel, Writing and tagged british airways fear of flying course, Fear of Flying, panic attack, panic attacks. Thanks for sharing this. We all have our fears, and yes our parents fears can rub off on us! Funnily enough my mother was not a good traveller and would never have gone up in an aircraft. I flew for the first time in my early 20’s. I went with my brother to Jersey, just a half hour hop, to see if flying was for me. Yes, I do have some fears BUT it is mixed with excitement and I have flown quite a few times since then. My fear is water! On my first swimming lesson with school when I was about 10 years old, I slipped and fell right in. The memory is still there. I did try again when I was 15 and almost learnt to swim but it was when my kids were young that I was determined I would not be beaten. I took them to the little pool, even though I hated it and when they started having lessons I took lessons too. I even managed to swim a little! Having said that I still can’t put my head under water and now I’ve proved I can swim.I don’t go anymore . My fear has not gone away. I can’t go under a shower in a small shower cubicle before I work out how the water will fall. If I get caught under it and can’t escape (route usually worked out!) I hyperventilate, basically I panic. I guess I have worked out coping strategies. So, I admire you for doing what you are. I look forward to your next post. Thanks for the comment Heather.I too had a fear of swimming from being thrown in the deep end of a pool when I was 10 and I couldn’t swim. I never showed my kids that I was scared, but made sure that they had lessons when they were very young to being really good competent swimmers. I then took private swimming lessons 6 years ago after I’d done the flying thing. If I could conquer the flying thing which was the most scariest thing in the world to me then I was sure I could do the swimming. And I did. The best feeling ever was our first holiday abroad when I was able to dive in the pool with my boys and swim underwater with them…….I was usually paddling by the side up to that point. My youngest taught me how to do handstands. I tried scuba diving which really wasn’t for me and made me feel claustrophobic, but like you say as long as you try something you know whether it’s for you or not. The next post is coming up soon.